SEO, or search engine optimization, is an indispensable digital marketing tool that digital agencies use to increase the visibility of your local business on various online platforms. This is done by optimizing the pages on your website and blog with relevant keywords used by people when they search online. The benefits of a sound SEO strategy are tremendous. Online content that is search engine optimized publicizes your business within the local community and lets online shoppers be aware of your presence. You have a great website, but if local customers cannot find you, it is of not much use. According to the leading digital agency submitcore.com, which specializes in local and small business SEO, here are 5 reasons why SEO is important for your local business — regardless of what you’re selling. 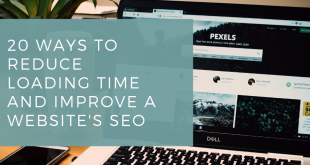 SEO, if done right, tremendously improves your search engine ranking, which means that when someone types certain keywords that match your offerings, your website will appear in top results on Google and other search engines. A robust SEO strategy slowly and steadily establishes your brand and builds customer recall. 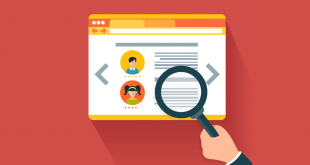 The greater the visibility of your website when customers search online, the greater will be its recall value. Ethical SEO practices focus on boosting organic traffic to your site, rather than stuffing content with keywords. This eliminates the risks of Google penalties and poor search ranking. Small business SEO is designed to help local businesses thrive and grow without spending megabucks on digital marketing. 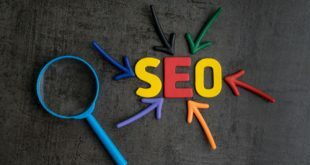 A seasoned local SEO agency will target keywords and key phrases unique to your business based on the search queries of the local area where you want to promote your business. For instance, if you want to market your plumbing services to the residents and businesses in and around the city of Boston, SEO can achieve that for you without much ado. Local SEO for small businesses is an affordable way to increase revenue (and footfall if you’re a brick-and-mortar store). Your expenditure on marketing is minimum—but the ROI is way better than what you would achieve from traditional marketing tools such as radio ads, banners, flyers and so on. The power of SEO is unleashed only when this wonderful marketing tool is employed correctly and ethically. In the wrong hands, SEO is a waste of your money, time and marketing efforts. Local SEO is a specialist job, so it’s best outsourced to SEO champions who have the knowhow and experience of working in your geographical area. It’s not that hard to pick a local digital agency that has what it takes to help your business succeed by employing the right measure of different online marketing tools. Just search online and pick one that appears in top search results and clearly explains what it’s SEO team can do for you. The fact that the agency’s website showed up when you typed “local SEO agency” or a similar phrase is proof that they’re great at getting on top of search queries!